Manage your trading with our Risk Management Tools. 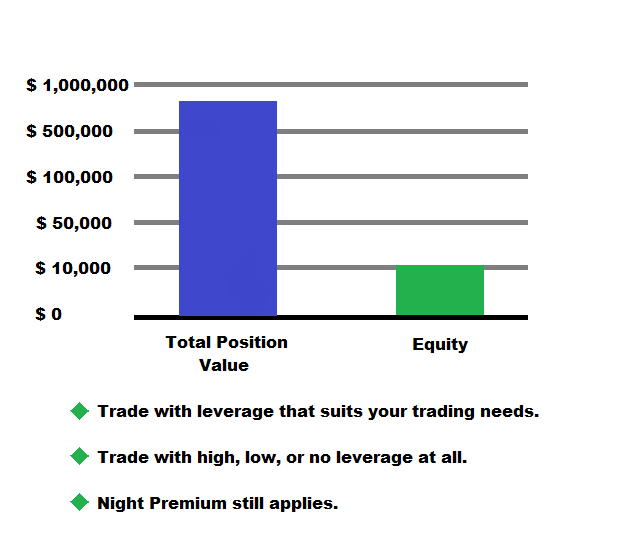 With Xtrade you have the flexibility to trade with high, low or no leverage at all. You can control your Equity by depositing or withdrawing funds and you are able to control your Total Position value by opening or closing positions. 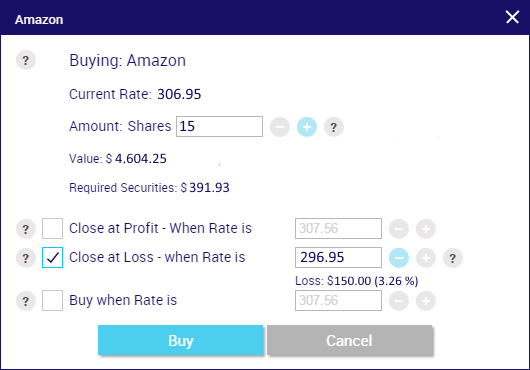 You can view your Equity and other important information under the My Account Bar on the left side of the Main Page. You deposit $200,000 (your Equity is $200,000) and then you buy Oil worth $200,000. You are now trading with a leverage of 1 (no leverage). You deposit $20,000 (your Equity is $20,000) and now you buy Oil worth $200,000. Now you are trading with a leverage of 10. Please be aware that a night premium pays for any position that is held overnight. Stop Loss Order – Can be added to trades before they are opened or by editing an open position. Traders are able to set an exit point for a losing trade. Take Profit Order – The opposite of a Stop Loss Order, traders are able to set an exit point for a winning trade. Limit Order – Traders are able to open a position with an order to buy or sell at a predefined rate. The trader's objective is to buy or sell at a better price than the market rate. You buy 15 shares of Amazon. You want to limit your loss to $150. You place a Stop Loss order price of $296.95. Amazon gaps down to $296.95 and then to $292. Your position will be closed at $296.95. Your loss is: 15 x (306.95 – 296.95) = $150.